Business in London’s Soho is not going well and the designer menswear shop that Clayton Littlewood runs with his partner, Jorge Betancourt, is under threat. Will they survive? Following on from his award-winning diary Dirty White Boy: Tales of Soho. Littlewood is back, watching the hookers, the gangsters, the rent boys and following the same strange characters who make up this strangest of villages. Will eccentric artist Raqib Shaw continue on his path to artistic immortality? Can Sue and Maggie, the Soho madams, keep the law at bay? What will become of Chico, the imprisoned ex-Diana Ross impersonator? And what of the Prince of Soho himself, Sebastian Horsley? Will America welcome him to its shores? 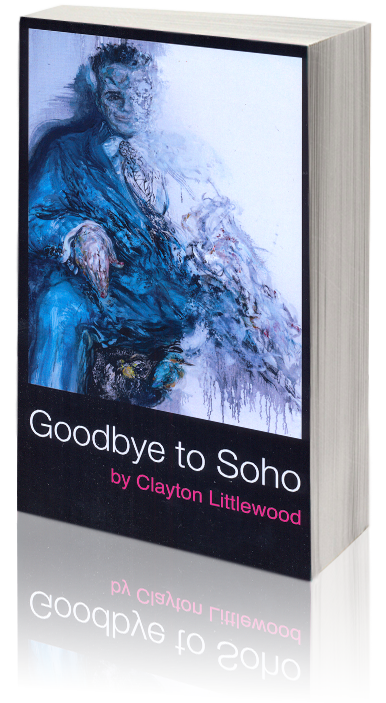 Goodbye to Soho is a snapshot of modern London life – a Samuel Pepys diary for the Soho subculture.